I have way too many shoes. I’ve gotten rid of a lot of them but there are some I just can’t seem to part with, even though I haven’t worn them in years. I have tons of fabulous heals, but between the fact that I’m already 5’9″ AND I’m a mom, I just see no need to wear them on a regular basis. But you never know when they might come in handy, so I keep them hanging proudly in my overflowing closet just for good measure. 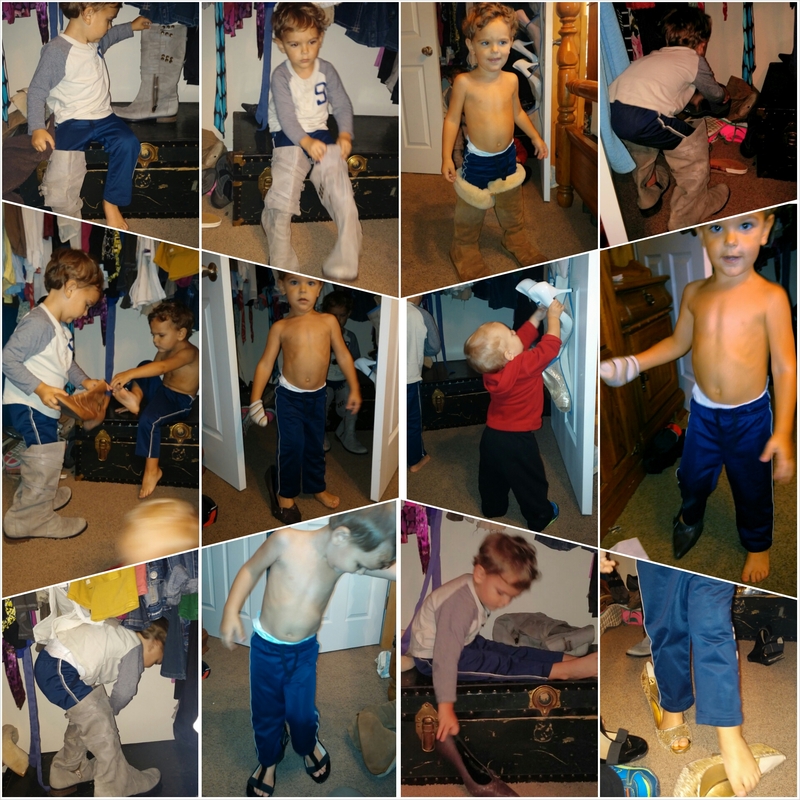 Having a house full of boys, I never really expected that my sons would be interested in playing dress up with mommy’s clothes and shoes. I was sadly mistaken my friends. These boys LOVE some heels! And really any pair of shoes. They’re not discriminatory over what kind they are. They thoroughly enjoy heels and boots, but they’ll wear whatever you’ve got. 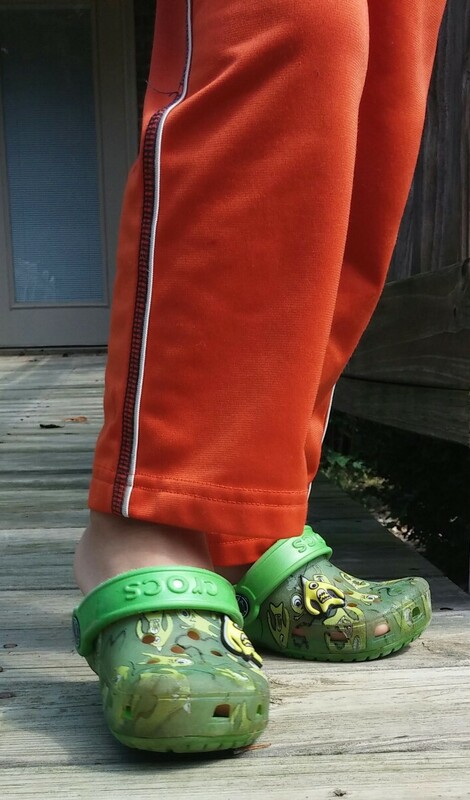 Those boys will shove their tiny feet into whatever size and shape foot adornment they can. I’m okay with it. It does not bother me one single bit that their favorite thing is layering themselves in my shoes, hats and jewelry…while pampering me and doing my hair. Hands to the heavens, I have no worried bones in my body about this. I think it’s precious! And, I like that there has been some use for those long abandoned heels. Ethan is the one who loves shoes the most. He goes through a minimum of 237 shoe changes a day. 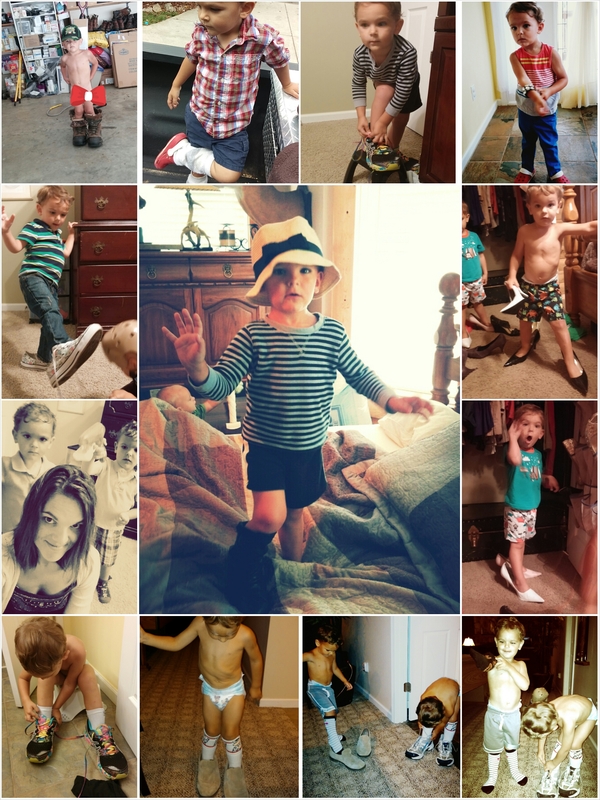 Whether they are his, mine, his baby brother’s, Gigi’s, whoever…the rotation of shoes throughout the day is just almost constant. Bless him. He got this determination from me and there have been times in my life where I too have loved a pair of shoes enough to try and will them to fit my enormous feet. I’ve done it on both sides of the shoe spectrum…too big and too small. You all know what it’s like to find the perfect pair of shoes at the store, only to try them on and they don’t quite fit. Too big is a little bit easier to manage than too small, but for me with my humongous hoofs, most of the time the issue is too small. I have been like my little Ethan in a store saying, “I’ll make it fit.” The heart wants what it wants. Unfortunately, I’ve done this with more than just shoes. How often in life do we compromise for something we want? We fall in love with something, or someone, and even though it’s clearly the wrong fit, we try to force it to work anyway. This seems to have been the story of my life. At least my love life. Almost 5 years ago, my heart stumbled upon a pair of “shoes” that sparkled. I wasn’t even in the market for new shoes at the time. I was still in the process of cleaning out my closet. But, like any good shoe lover, even if you don’t really have room in your closet, or your wallet, for a new pair, you figure out how to get those suckers. 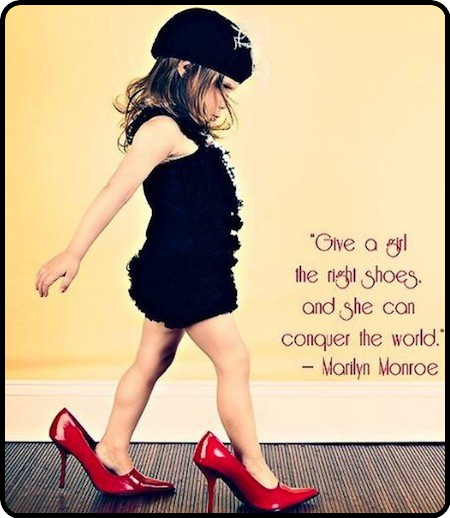 When I found the shoes, knowing I had no business looking at them in the first place, I reluctantly tried them on. They didn’t really fit my feet very well, they were way too expensive, and they weren’t even my style; but they were cute and new and exciting and I wanted them. So I said, “I’ll make it fit!” and carried on. I’ve learned this is never a good philosophy, whether it’s shoes you’re forcing to fit your feet or a person you’re trying to fit in your heart. The end result of that coercive attempt will always end in pain and discomfort. The other thing I’ve learned is that it’s okay for the shoes not to fit. 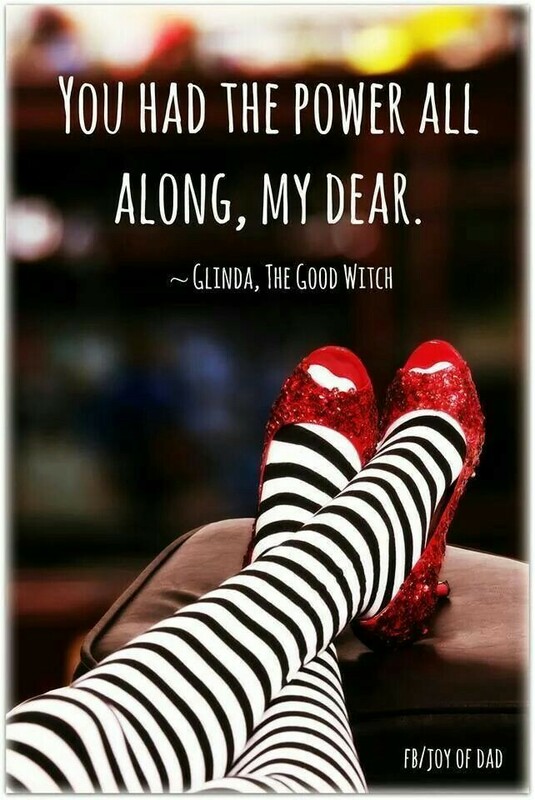 It doesn’t mean anything bad about you, your feet, or the shoes. Your feet are exactly the size God wanted them to be. The shoes may be perfectly lovely. But if the shoes don’t fit your feet, it’s acceptable, and even necessary, to move on. Even if you have the money, you’ve saved and planned, and everything about the shoe is perfect for you accept that it’s half a size too small, you have to release the desire to make it fit and find the right size. You don’t have to shrink your foot or grow the shoe. In fact, trying is fighting a losing battle. It won’t work. My stubborn strong will and vehement desire to make something fit that never did left me with sore feet, a bruised heart and an empty wallet. My sons parading around in the wrong size shoes is adorable. It’s not so cute when translated into other things though. Life is a careful balance of making the right choices and not obsessing over making the wrong ones. I’ve made a lot of wrong choices along the way. For a long time I believed that if I made the wrong choice, I had to figure out how to make it work anyway. I didn’t believe that I could just make another choice. For the last several years, I have worn the wrong shoes. They were cute in the beginning, but they quickly lost their sparkle. They didn’t fit. They hurt my feet. They’ve been difficult to walk in. They’ve been embarrassing. But I’ve continued to wear them. Some days, these shoes hurt so bad that I didn’t know how I’d take another step. Other people saw my shoes and thought they were glad they were my shoes and not theirs. But I chose them, and so I wore them. Many of us choose the wrong shoes. There are some shoes you can take off once you learn they don’t fit. Others, once you put them on, you have to wear them for the rest of your life. Although I am finally strong enough to take these shoes off, the ache of wearing the wrong pair for so long will last forever. The good news is, I’ve learned my lesson. I took the shoes off. I’ll find another pair. And if not, I’ll walk around barefoot forever because the pain of wearing the wrong shoes far outweighs any judgment that could come of not wearing any. I hope my sweet peas learn to pick the right shoes someday. For now, we can all find joy in their love of mine. We will walk the path set before us knowing we are strong enough to handle it and God will guide our steps, no matter what foot decorations accompany us along the way.